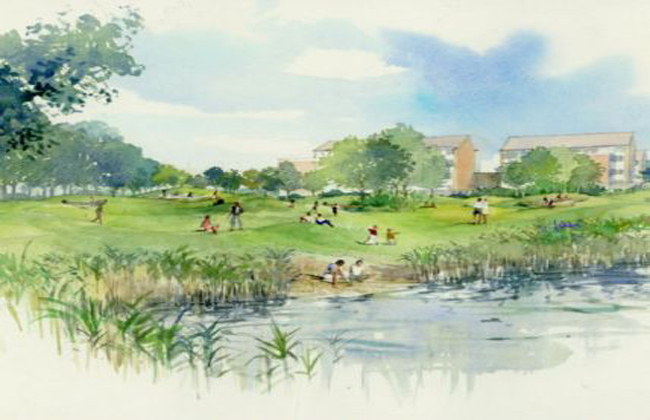 Beam Parklands, a new 53ha park for east London, is helping to regenerate a deprived area by linking fragmented communities to the unique natural environment of the valuable green space. The partnership brought together to deliver the scheme, comprising the Environment Agency, Land Trust, and the London Boroughs of Barking and Dagenham and Havering. Throughout the timeline of the project, adding value by both client and consultant landscape architects has been a consistent theme. In 2008 the Environment Agency developed and approved a business case for the Beam Parklands project, in collaboration with the developing Beam Partnership and the Land Restoration Trust as it was then known. Initially a concept plan was developed by the EA landscape architects which contained key project principles related to conserving and enhancing the natural and man-made heritage, restoring the rivers and floodplains, reducing flood risk, improving access for a diverse range of users and working closely with all members of the local communities in order to regenerate this part of East London. Beam Parklands is a network of public open spaces and other greenspace at the confluence of the River Beam and the Wantz Stream in East London. The project aimed topromote the opportunity for the restoration and enhancement of the wider network of green infrastructure. exposure of lower nutrient substrates provided easier access across the floodplain for most of the year with less rank vegetation. 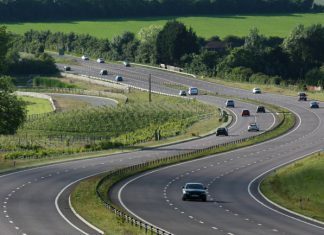 Environmental consultancy services including landscape design, ecology and environmental planning advice to maximise environmental enhancements of the proposed scheme.